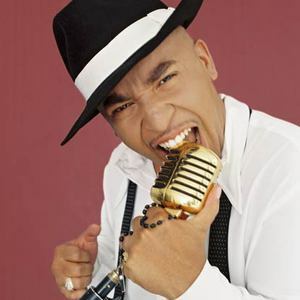 David Lubega (aka Lou Bega) (born April 13, 1975 in Munich, Germany) is a Latin pop musician famous for his song "Mambo No. 5". This song is a remake of the Perez Prado instrumental from 1952. Bega added new lyrics to the song and sampled the original version extensively. Bega had a multicultural upbringing as his mother is Sicilian and his father is from Uganda. Bega spent time in Miami during his teenage years. Bega had a multicultural upbringing as his mother is Sicilian and his father is from Uganda. Bega spent time in Miami during his teenage years. "Mambo No. 5" became an instant worldwide hit, charting in the top 5 across Europe and in the USA, where it became a popular stadium anthem at sports events. It was also used by the British television broadcaster, Channel 4 for their coverage of Test Match cricket between 1999 and 2005. Interestingly, the original version by Perez Prado was also featured in a popular Guinness commercial of that year. In 1999 he released the album A Little Bit Of Mambo which included Mambo No. 5 and the hits "1+1=2", "I Got a Girl" and "Tricky". On December 13, 1999, this album was certified triple platinum by the RIAA. To date, he has sold almost 4 million copies in the U.S. alone. He followed this up in 2001 with Ladies And Gentlemen. He recorded the song "Baby Keep Smiling" with Compay Segundo. In the video game Tropico, Lou Bega is one of the characters a player can choose as his dictator persona. He was included as part of a licensing deal that also saw one of Bega's songs integrated into the German release of Tropico. His third studio album, Lounatic, was released in late 2005. The first music video released was "You wanna be Americano" followed by "Bachata".